Capable, but not always convenient. Plex isn’t the easiest way to record live broadcast TV, but it is the most versatile. As a whole-home DVR for cord-cutters, Plex’s software and subscription service ticks almost all the requisite boxes, including full broadcast TV quality, lots of ways to manage recordings, and broad device support. It also lets you stack multiple tuners to record many programs simultaneously, and even includes a powerful ad-skipping feature—in beta, but still functional—that most other DVRs lack. But compared to other solutions like Tablo and TiVo, you’ll need to assemble and manage more hardware on your own, and the results aren’t always as seamless. For those reasons, Plex DVR still feels like a solution for power users, rather than the best DVR for everyone. Editors' note: This review was updated on June 19, 2018 to report on the newly added online-only grid-based channel guide. Plex DVR requires a subscription to Plex Pass, which costs $5 per month, $40 per year, or $120 for lifetime service. To set it up, you can take a range of approaches, from simple to intimidating. The path of least resistance is to pair an Nvidia Shield TV streaming box ($200) with a compatible USB antenna tuner such as the Hauppauge WinTV-Dual-HD. Plug an antenna into the tuner, then connect an external hard drive to the box’s other USB slot, and Plex’s Media Server software for Shield will handle the recordings. 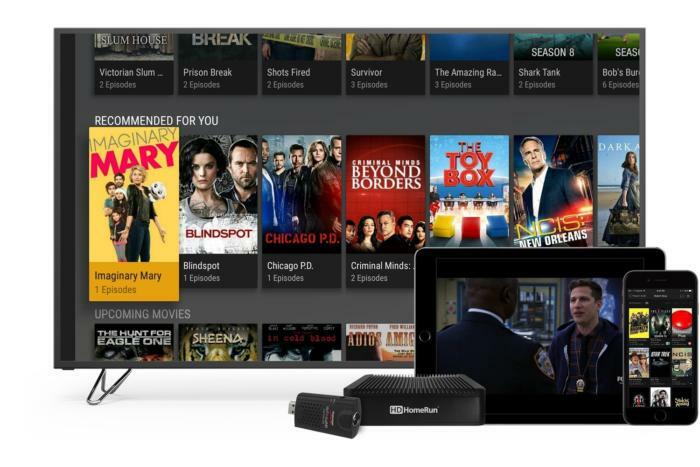 You can then watch live and recorded TV on the Shield itself, or stream it over Wi-Fi to the Plex app on other devices, including Amazon Fire TV, Android TV devices, Apple Roku, Xbox One, iOS, Android, and the web. 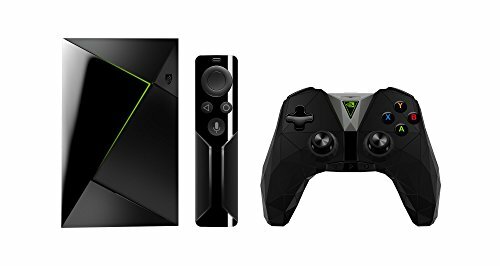 An Nvidia Shield TV ($200), Hauppauge tuner ($65) and external USB drive are the basic tools you need for Plex DVR. The Shield isn’t even necessary if you have a desktop computer or NAS box on which to run Plex Media Server. 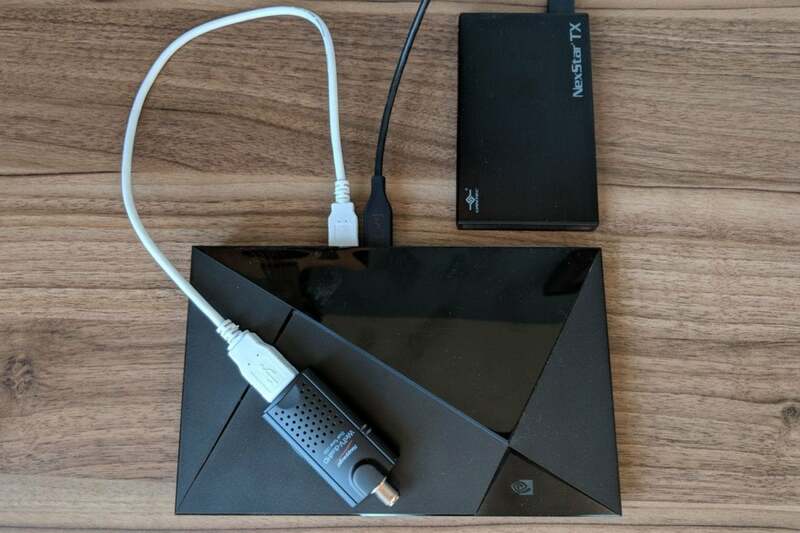 Just plug a USB tuner into your PC, or connect an HDHomeRun to your router to get started, and you can stream broadcast TV to any other device running the Plex app. The nice thing about Plex’s approach is how extensible it is. Want to record more shows at a time? Just plug in a second tuner. Run out of storage space? Just plug in second hard drive or move your recordings to a larger one. You can even store recordings on a hard drive connected to your router’s USB port, so that anyone at home can use the drive’s spare storage for other purposes. The inherent trade-off is that this isn’t quite a plug-and-play solution. You must gather all the hardware components on your own, then install Plex’s Media Server software on the device that’s doing the recording, then head to a web browser to walk through the guided setup process. The need to connect third-party hardware also introduces more room for hard-to-explain errors. While testing Plex, for instance, I encountered an issue where Android TV’s Live Channels app was quietly using up tuners for no apparent reason. It took me weeks to diagnose the problem, and I ultimately had to disable the app to prevent further issues. While Plex isn’t technically at fault, this isn’t something that would happen with a controlled DVR system such as Tablo or TiVo. The other issue with Plex is that your experience can vary depending on your choice of hardware. On the server side, the Shield has only a couple of USB ports, limiting your ability to add more storage, tuners, or other accessories such as game controllers. (I couldn’t get the device to recognize my USB tuner when it was connected to an external USB hub.) Plex also notes that in most cases, the Shield can only transcode two or three videos simultaneously. For maximum flexibility, a desktop PC or NAS box are still your best options. Among the Shield’s other advantages: It’s the only device with a picture-in-picture mode that lets you play games or browse other apps while watching broadcast TV, and it’s the only one whose recordings appear in system-wide voice search (in this case, from Google Assistant). Android-based devices such as the Shield are also the only ones that support watching and recording a channel on a single tuner, so you needn’t burn a second tuner slot just to view a recording in progress. On the other hand, Plex’s Android TV app, which the Shield uses, is harder to navigate than Plex’s apps on Roku and Apple TV. The live TV menu is buried a half-dozen rows into the interface, and it doesn’t display network names or let you click into a separate “Watch Now” menu. And unlike Plex’s other apps, the Android TV version doesn’t list channel numbers. The live TV guide is front-and-center on Roku, but buried on Android TV devices. What makes Plex worthwhile—aside from its extensibility—is the amount of control it gives you over recordings. For any given TV show, you can filter out reruns, add start and stop buffer times, filter out standard definition channels, automatically replace SD recordings with high-definition ones, limit recordings to a specific channel, automatically delete old episodes (either by date or number of newer recordings), and delete old episodes after watching them. It’s easy to find things to record as well, with separate menus for movies, shows, news, and sports, and multiple filtering options within each. Recording options abound with Plex DVR. Plex also supports out-of-home streaming for live and recorded TV, and you can sync any recording to your devices for offline viewing. Your recordings aren’t perpetually locked into Plex’s system either. Recordings are unprotected in .TS format, so you can use them with other media server programs or transfer them onto other devices manually. Still, Plex does have some limitations. 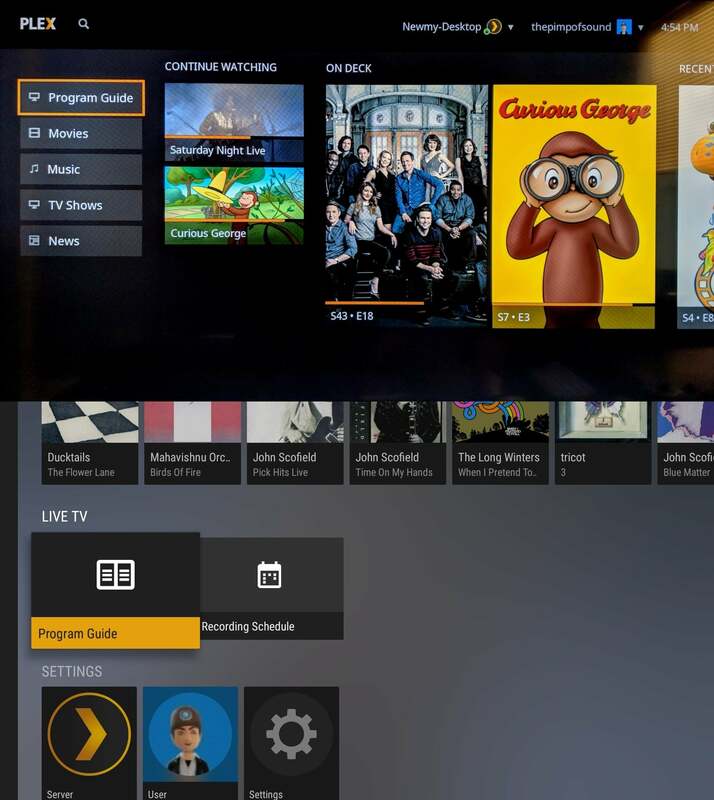 On most devices, Plex does not yet offer a grid-based channel guide, similar to what's already available from other over-the-air DVRs such as TiVo, Tablo, Emby, and Channels. Instead, you'll only see some guide-like menu rows, such as “On right now,” “Starting soon,” and “New Episodes tonight.” This just doesn’t feel as straightforward as a traditional grid. 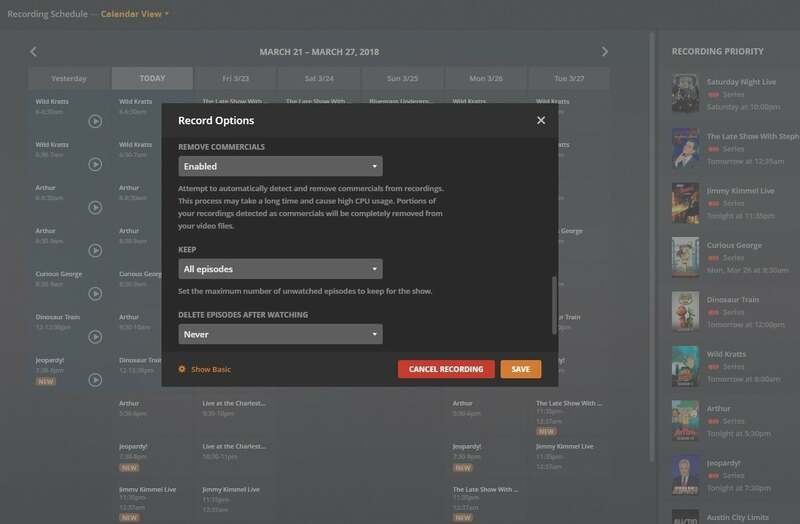 Plex has added a grid guide to its web app, letting you easily see what's coming up across lots of channels and schedule recordings with a couple of clicks, but it's unclear when this feature will roll out to other devices. Plex’s ability to record live sports is also lacking, with no way to record specific teams. 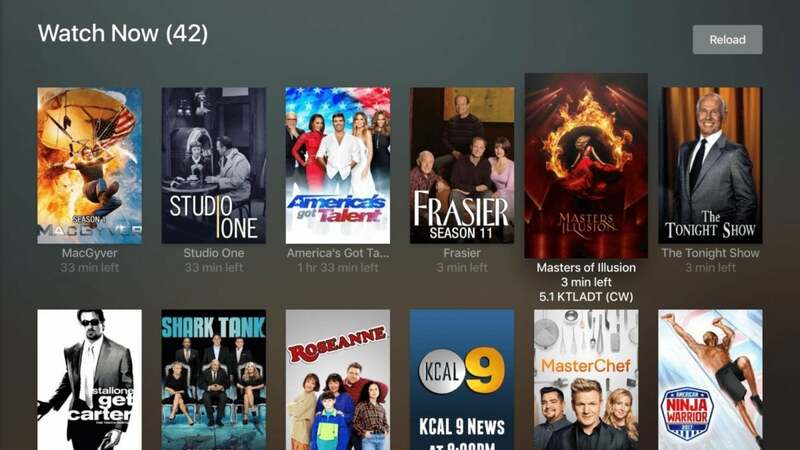 In lieu of a grid guide, most Plex apps simply list what’s on current channels by number. Because of those limitations, the somewhat daunting setup process, and the inconsistencies between its various apps, Plex is not a solution I’d suggest to everyone. (That honor still goes to Tablo.) But for power users who don’t mind fiddling with their cord-cutting setups, Plex’s combination of video and audio quality, granular recording controls, and extensibility is as good as it gets.